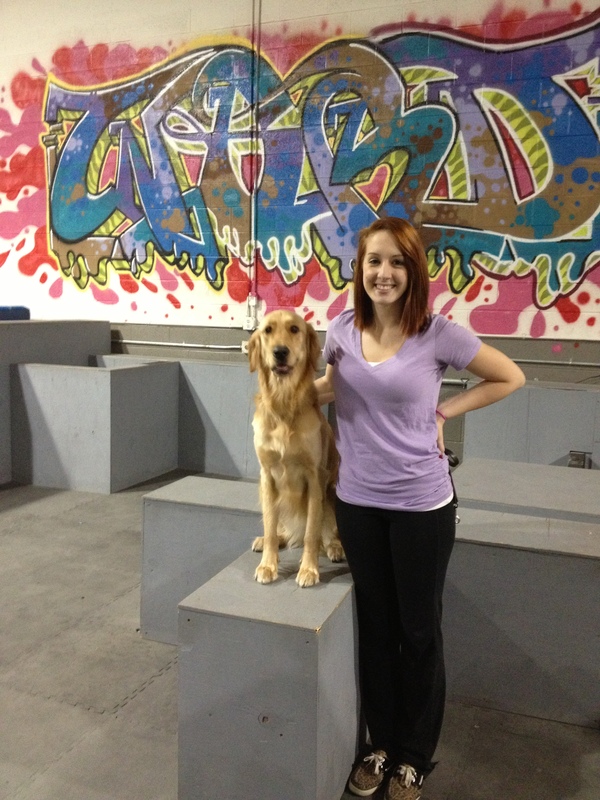 On November 20, 2012, Sugar a Golden Retriever pictured with her owner and trainer Caitlin Pierman of Canton, Michigan earned a Novice Trick Dog title via the Kyra Sundance’s Do More With Your Dog program. They were evaluated by Michael Burkey, head trainer and owner of Michigan Dog Trainer who is an Associate Trick Dog Instructor for Sundance. Congratulations to Caitiln and Sugar! Contact the Michigan Dog Trainer for information on how your dog can earn trick titles too. This entry was posted in Trick Dogs, Uncategorized and tagged Circus Dog, dog, Golden Retriever, Kyra Sundance, michael burkey, Michigan, Michigan Dog Trainer, Michigan Dog Training, trick dog. Bookmark the permalink.